Arctic Cherry brings the delicious flavor of sweet cherries and combines it with the cooling "arctic" effect of mint, giving you a smooth and flavorful hookah session. Try mixing this flavor with your favorite lemon shisha tobacco for a refreshing cherry lemonade blend! 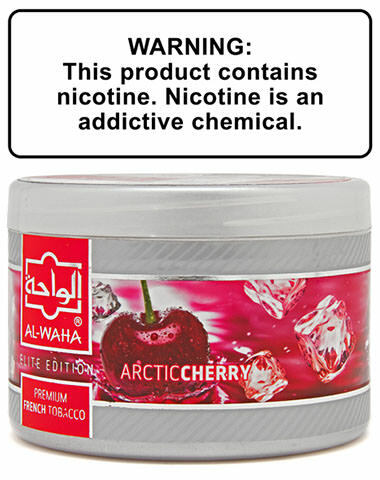 Arctic Cherry Al Waha Shisha Tobacco has a average rating of 0 stars out of 5 stars based on 0 reviews.